← Rivki Silver is no Huffaloftus! As some of you know, I have been planning my son’s bar mitzvah. For the last 18 million months. I will eventually write more about the horrors and the joys of this journey. But let’s start here with the invitations. I know a lot of people like very traditional designs when it comes to invitations for religious events. I looked around and found very few invitations that got me excited. The invitation sets the tone for the event. Finally I decided to get Tech Support involved. He was all shoulder shrugs. Finally, I found the invitation that spoke to both of us. It isn’t traditional. It is actually kind of funky. And I don’t mean that it is contemporary. It is just right, and I got them from Rishona Beck Myers at RM Creative Events. And I would love to show a picture to you, but I haven’t sent them out yet. But I can tell you that only after the invitations and all the coordinating inserts arrived did I realize I kind of forgot about thank-you notes. This should give you some insight into my abilities as an event planner. I was just about to start searching again when eInvite bar mitzvah invitations came to my rescue. They have a fabulous thank-you card that coordinates with my son’s invitation perfectly. Click here to see more information about this thank-you note. Initially, I was nervous about ordering from an online vendor, but they are printed on the same high-quality Checkerboard paper on which his invitations are printed. And no, Tech Support’s real name isn’t Kayla. And I didn’t use this font. I used a more masculine font that matches his invitation – so everything goes together, which is lovely. So lovely that I can actually hear my son telling his friends that he can’t swim in their pool or have a water fight or shoot off rockets in the backyard because he is just so excited to touch these papers. I can see him holding a pen and happily writing out all his thank-you notes without a single complaint. If you are looking to order bar or bat mitzvah invitations or thank-you notes online, be sure to check out eInvite.com. Have you ever ordered something major from an online vendor? How’d that work out for you? I received 50 Conventional Tie Die Celebration Bar Mitzvah Thank-You Notes from eInvite.com in exchange for writing this post. But all the opinions are mine. And these thank-you notes rock. This entry was posted in Jewish Stuff and tagged Bar and Bat Mitzvah, einvite bar mitzvah invitations, Invitations and Announcements, Judaism, Stationery. Bookmark the permalink. I love paper! I did my print-and-assemble-yourself wedding invitations from an online vendor. They didn’t look DIY at all and saved me a ton of money. I can’t find the durn link. But they were awesome. Will he be receiving the traditional fountain pen as well? Cause then I’ll write his thank-you notes for him! I love that shizz! I remember your story about having to add that extra stamp to your otherwise perfect invitations! I had not planned to buy the traditional fountain pen, but I’m guessing some one out there might just give him one. 😉 I’m glad you had success with your online vendor. Non crafty me made my wedding invitations. They did look homemade. Well, “simple”. I didn’t really assemble them, though. I invited 15 women over, gave them wine and food, and just watched. Their site has a lot of cool thank you notes. Your son should like them (not so much writing them) and his guests will like receiving them, especially if they coordinate with his invitations. I wish him a blessed Bar Mitzvah (and a kicker party). They do have a lot of great invitations. It’s hard to find interesting bar and bat mitzvah invitations, so I was surprised when I saw that they had so many — and so many categories! They also have other cool stuff, too that can be personalized. Pillows and home decor, etc. Thanks for the well-wishing. At some point, I will write more about the process. This is simply dipping my toe in the water. I can’t believe I did or am sharing this, but here goes. I ordered flowers to decorate the chapel for my first wedding (which pre-empted my first/only pseudo-marriage…another story!) from Ebay. You can imagine how great that turned out. My bridal party spent hours plucking silk florescent purple buds that were supposed to be periwinkle out of bunches of white. Thank goodness I have talented loved ones. I will write more about the bar mitzvah soon. It has sooooo not been my thing. But it’s going to be great. You’re very creative, so I’m sure it will be great! They are, indeed, that green — like Kayla’s up there. And they are, indeed fabulous. I love the invitations you selected. It’s hard when you are trying to find something masculine, but not overly religious. Meanwhile, there are TONS or bat mitzvah invitations. Entire books devoted to girl invitations. Lots of hot pink and purple and bows: frilly stuff. Boys’ invitations… not as easy. I think wedding invitations are easier. Your two blades of seagrass curling into each other is so lovely. And symbolic. How did you know what the paper was like? Did they send you a sample? Awesome! I LOVE the green. I am surprised the boys’ selection is so limited, though. Well, I’m glad they came out just the way you wanted. Squeeee! Did you get reply cards and reception cards and thank you notes, too? The whole shebang? I got reply cards and thank you cards (we got married at the venue -on the dock!- so we didn’t need separate reception cards), but I made my own two-sided directions/accommodation cards! We didn’t order ours online. Instead, my 12-year-old and I went to a paper supply store, picked out some fabulous silver heavy-duty paper and purple cardstock that folded to create it’s own envelope. My daughter designed some artwork to go in the corners, we scanned it, added it to our text in Publisher, using some beautiful English and Hebrew fonts, and printed our own. I printed separate party details card, weekend events card, and even matching thank you notes. I even created our own seals with our return address to close up those envelopes using a pack of $7 sticker-seals from Staples! It took a lot of work and plenty of computer savvy, but I saved hundreds of dollars, they looked totally professional, and I got tons of complements on them! I just couldn’t see spending so much money on something you know ends up in the recycle bin! I know people who have actually opted for paper-free Bat Mitzvah invitations using evite.com. Free and no waste! We’ve ordered lots of stuff onlne – tv’s & other electronics, ceiling fans & light fixtures, books, music, even cases of soup! The only time it didn’t work out was when we ordered what we thought was going to be a CFL light bulb for a lamp. When it arrived, it was huge! I can’t imagine what that bulb would go in! I know that I could have done what you did. BUT I would have wasted so much paper trying to line things up. And then there would have been crooked ones. And then I would have needed more ink. It would have taken me a million years and it would have been an epic fail. You must be everyone’s best friend, and I’m sure people ask you for Tech Support all the time. How many more kids do you have? Are you going to have to do that again? Hah! Yeah, SOME people call me for tech support 😉 I’m impressed that you’ve kept every invitation you’ve ever received. I did keep all the ones my daughter got for for other bar/bat mitzvahs the year before hers, just to get ideas from since we were doing our own. But other than that, once the event is over, it comes off the fridge and into the recycle bin. You know I have one more kid! But you also know that I may not be doing that again. I’m soooo with you – it was really not my thing, and was the most stressful thing ever! Good luck with everything. And, yes, it will be fabulous, and one way or another, everything will get done and it will all come together. If your son does even ONE thank you note without you having to, first, threaten all sorts of dire consequences, and second, strap him to a chair and Krazy Glue a pen into his hand, then you’re in the running for Most Bestest Mom On The Planet. Oh, Peg-o… you must understand… this is a cultural expectation. My son knows he will be expected to write his thank-you notes. Every child writes his or her own. The problem is when will he do them? He goes to camp for the entire month of July. I know they won’t get written there. So I guess that leaves August… when we had planned to take a family vacation. Great idea! I am all for paperless. My daughter who is 20 orders stuff all the time which now that I think about it was kind of peculiar since she didn’t have a charge card until recently… Hmm…kidding! She would ask for my card number when she was younger. I think it worked out really well. So ironic! I just got a package from Amazon and my husband and I looked at each other knowing that neither of us ordered anything. Courtney must have ordered a screen protector! Hahaha! Someone knows how to use those online services! Keep your head up, missy. I’m getting married in 2 weeks and went throught the whole invitation debacle. Fortunately, my family already expected them to arrive in “Tori-esque” fashion. That’s code for “straight up broken down boho”. I know!!!!! I’ve been following your whole extravaganza! I just can’t comment on my phone. Too tiny and arduous. But I love everything that you are doing! I wish you were planning this event! Soooooo cool! You are such an awesome mommy! 🙂 “Just pick something cool” – My spine goes cold when my kid says that to me.. oh great.. now there is pressure! I just received an invitation to a 60th birthday party in California. (No, we aren’t going – we’re going watch Tech Support strut his stuff instead.) This was probably not an evite-type invitation. It was heavy – almost cardboard – and the stamp imprinted with the birthday guy’s name (!) was also imprinted with the cost – $2.12 EACH for postage. Just as a footnote, with all this pomp and circumstance and fancy printing, the name of our street was misspelled. Oh, well. Just thought you’d like another bit of insight on invitations. There are so many bloggers I’d love to invite. It’d be the best table in the house! First of all, can’t wait to see the stationery – be sure to share, share, share when the time is right! 🙂 Also, yes, I have been ordering ALL my photos and photo products from snapfish.com and shutterfly.com for quite some time now. Including – gasp! – my daughter’s senior pictures last year. And. They. Are. Spectacular. My favorite shutterfly photo product? Our annual family calendars, of course. Because EVERYONE should have a year full of Sticklens…. I promise I will share stories and some photos… Hopefully Tech Support will allow me to post a few of him. He’s really tough about that stuff. But I am starting to collect planning anecdotes. Oy! I love doing family calendars, but I use Snapfish for that. Funny how we all have our favorite sites. eInvites really came through for me. I guess I can show their invitation once mine is sent — but obviously, my dude doesn’t want his name on the Internet, so he may have to stay “Kayla” or now. Lol! I’ve done baby announcements online and it’s worked out well. Although . . . I’m not such a good designer type and it’s nice to have some there in person walking me through. That said, it’s also nice not to feel pressured into something just because the person spent time helping me. Thank you notes are an important lesson! Nobody likes writing them, but it’s part of life. I’m looking forward to all of the post-bar mitzvah posts! Can’t wait to hear the details. I definitely needed hand-holding for the real invitations — especially since this was my first time doing anything like this. But it is hard to blow thank-you notes. Seemed like a good place to take a chance. If I had to plan another event, I’d totally use online invitations. And you are right… Writing thank-you notes is really important. And people hardly ever write handwritten notes anymore; this could potentially be the first and last time my son writes letters like this. If you can imagine, I recently received a bulk thank-you text. Oy. Not. Nice. You are almost there. You are almost there. You are almost there. I ordered my son’s bar mitzvah and daughter’s bat mitzvah invitations on line. I actually used 2 different websites because my daughter cared more about what her invite looked like and we didn’t see anything we both agreed on from the one I used for my son (one difference between boys & girls!). I (thankfully) had no issues with either one. 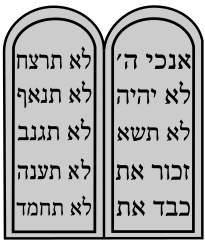 The hardest part was getting them the Hebrew wording I wanted to include with each which was not too hard to do with a computer and adobe to make it a PDF file. I’m glad it worked out for you! Good Luck! No matter all the crap you’ll have between now and then, remember to enjoy that special day! I keep saying: ” It’s going to be great. It’s going to be great.” but there has been a lot of crap. I’m starting to write about it now. Thank goodness my son has enjoyed the process so far! He’s got his haftorah and Torah portion done. He’s learned the trope. He knows all the aliyot. He collected 1,300 books for a community service project. Wevneed to deliver them to a few schools soon. We’re hoping students will be able to bring some titles home! Now he just has to write his DVar (speech) and the rest will be smooth sailing.